Rasulullah SAW Dispatches Khalid bin Walid RA to Yemen. Baraa bin Aazib RA narrates that he was among the group that Rasulullah SAW dispatched to Yemen under the leadership of Khalid bin Walid RA to invite the people of Yemen to Islam They stayed there for six months but no one was prepared to accept Islam. Thereafter, Rasulullah SAW & sent Saidina Ali RA "and with instructions to relieve Khalid bin Walid RA and to send him back with his men except those who preferred to remain behind with Saidina Ali RA..Baraa bin Aazib RA narrates that he was one of those who remained behind with Saidina Ali RA. When Saidina Ali and the Muslims drew close to the people of Yemen, they also marched forward to meet the Muslims. Saidina Ali RA then stepped forward and led the Muslims in solah. accepted Islam. When Rasulullah SAW read the letter, he fell into Sajdah and then lifted his head and prayed, "Peace be to the Hamdaan! Peace be to the Hamdaan!". Rasulullah SAW, Dispatches Khalid bin Walid RA to Najran. should commence battle proceedings. Khalid bin Walid RA left Madinah and when he arrived in Najran, he sent riders in every direction to meet the people and invite them to Islam saying, "0 people! Acept Islam and remain in peace." 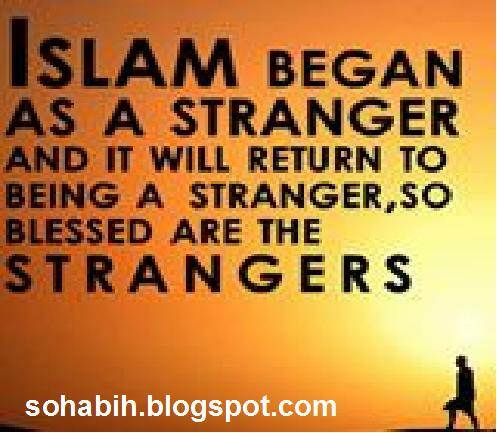 Consequently, all the people accepted Islam and entered the Deen they had been invited towards. The Letter Khalid bin Walid RA to Rasulullah SAW. In the name of Allah the Most Kind, the Most Merciful. May peace be to you, 0 Rasulullah SAW and the mercy and blessings of Allah SWT . Before you, I praise Allah SWT besides Whom there is none worthy of worship. 0! Rasul of Allah - may Allah SWT shower His special mercies on you - you sent me to the Banu Haarith bin Ka'b tribe with instructions to invite them to Islam for three days without engaging them in battle. Your instructions were that I accept from them their conversion to Islam, after which I should teach them the injunctions of Islam, the Qur'an and the Sunnah of Allaah's Nabi. 'The Letter that Rasulullah SAW sent in reply to Khalid bin Walid RA! In the name of Allah SWT the Most Kind, the Most Merciful. From Muhammad the Nabi and Rasul of Allah SWT. To Khalid bin Walid May peace be to you. Before you, I praise Allah SWT besides Whom there is none worthy of worship. Your letter sent with your messenger has reached me with the news that the Banu Haarith bin Ka'b tribe had surrendered without a fight and that they accepted the Islam that you invited them towards. Your letter also informed me (about the excellent news) that they all testify that there is none worthy of worship but Allah and that Muhammad is Allah's servant and Rasul, Allah has guided them by His guidance. You should give them glad tidings (of Jannah) and warn them (against Jahannam). Return (to Madinah) together with a delegation from them. May peace be to you as well as the mercy and blessings of Allah. Khalid bin Walid RA Returns to Rasulullah SAW with a Delegation of the Banu Haarith. (After receiving the letter from Rasulullah SAW, Khalid bin Walid RA returned to Rasulullah SAW, accompanied by a delegation from the Banu Harith bin Ka'b tribe. When Rasulullah SAW saw them arriving (in Madinah), he said, "Who are these people who resemble the people of India?" Someone said, "They are the Banu Haarith bin Ka'b tribe." When they arrived in the presence of Rasulullah SAW they greeted him and said, "We testify that you are Allah's Rasul and that there is none worthy of worship but Allah." Rasulullah said, "I also testify that there is none. 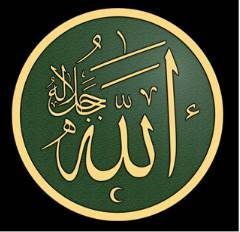 worthy of worship but Allah and that I am Allah's Rasul." Addressing them further, Rasulullah SAW asked, "Are you the people who came forward (accepted Islam) when you were admonished?" They all remained silent without offering a reply. Rasulullah SAW repeated the question a second and third time and still no one replied. When Rasulullah SAW repeated the question the fourth time,Yazid bin Abdil Madaan RA said, "Yes, 0 Rasulullah ,It was us who came forward when we were admonished." He repeated the reply four times. Thereafter Rasulullah SAW said, "If Khalid had not written to me with the news that you had accepted Islam without a fight, I would have cast your heads beneath your feet." Yazid bin Abdil Madaan RA said, "By Allah! (When we accepted Islam) We neither praised you nor Khalid." "Who then did you praise?" asked Rasulullah SAW .The reply was, "We' praised Allah Who used you to guide us, 0 Rasulullah", And Rasulullah SAW said, "You are quite right." Thereafter, Rasulullah SAW asked them, "How were you able to defeat your enemies during the Period of Ignorance?" They said, "We were unable to defeat our enemies." "Why not!" 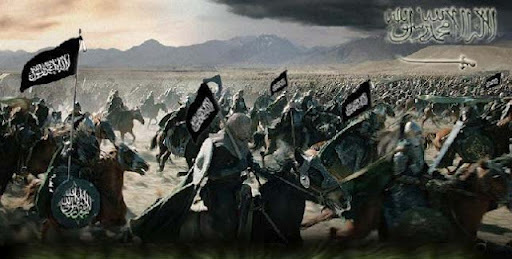 Rasulullah exclaimed, "You were certainly victorious over those whom you fought." They said, "0 Rasulullah SAW! We would defeat our enemies because we remained united without breaking into factions and never oppressed anyone." Rasulullah SAW ! said, "You have spoken the truth." 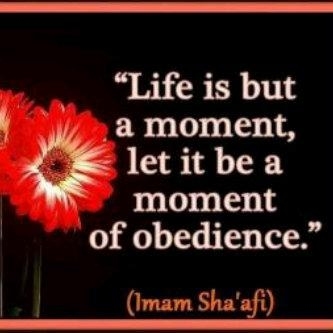 Rasulullah SAW then appointed Qais bin Husayn RA as their leader. Bayhaqi. Bukhari has also narrated it in brief a s mentioned in Al Bidaaya wan Nihaaya (Vo1.105 Q.5). Khalid bin Walid RA Writes to the People of Persia. Hadhrat Abu Waa'il RA narrated that Khalid bin Walid RA, wrote the following letter to the Persian people, inviting them to Islam. To Rustay, Mahraan and the Persian leadership. Peace be on those who follow the guidance. than you Persians love wine. assured that I shall give you. your protection. Othewise, I swear by. This occurred in the year 12 A.H.
Khalid bin Walid RA Writes to Hurmuz. the people who love death as much as you people love life. Another narration(') states that when Khalid bin Walid RA conquered one of the two regions of Iraq's fertile plains, he summoned a person from the people of Heera. With this person he sent a letter to the Persians who were scattered in different group; in Madaa'in and taking support from each other after the death of (their leader) Ardsher. However, they had appointed Bahman Jaadhway as their leader stationed in a place called Buharseer where he commanded the army's frontline. With Bahman Jaadhway was Uzaadhiba and several other generals. Khalid bin Walid RA summoned another person from Salooba and sent two letters with the two envoys. One letter was addressed to the senior leadership while the other was addressed to the regular commanders. The one envoy was therefore from Heera while the other was a Nabti (from the non-Arab settlers of Iraq). When Hadhrat Khaalid %,Gw asked the envoy from Heera whht his name was, the man said that it was Murra (meaning 'bitter'). Khalid bin Walid RA said to him, "Take this letter to the Persians. Perhaps Allah SWT shall make their lives bitter or they shall accept Islam and turn in repentance (to Allah)." Who has weakened your plans and fragmented your unity. It would have been worse for you if He had not done this. of people who love death like you love life. people who love death more than you people love to drink wine." KHĀLID IBN AL-WALĪD RA(ARABIC: خالد بن الوليد‎; 592–642) ALSO KNOWN AS SAYF ALLĀH AL-MASLŪL (THE DRAWN SWORD OF GOD), WAS A COMPANION OF THE ISLAMIC PROPHET MUHAMMAD. HE IS NOTED FOR HIS MILITARY TACTICS AND PROWESS, COMMANDING THE FORCES OF MEDINA UNDER MUHAMMAD AND THE FORCES OF HIS IMMEDIATE SUCCESSORS OF THE RASHIDUN CALIPHATE; ABU BAKR AND UMAR IBN KHATTAB. IT WAS UNDER HIS MILITARY LEADERSHIP THAT ARABIA, FOR THE FIRST TIME IN HISTORY, WAS UNITED UNDER A SINGLE POLITICAL ENTITY, THE CALIPHATE. HE WAS VICTORIOUS IN OVER A HUNDRED BATTLES, AGAINST THE FORCES OF THE BYZANTINE-ROMAN EMPIRE, SASSANID-PERSIAN EMPIRE, AND THEIR ALLIES, IN ADDITION TO OTHER ARAB TRIBES. HIS STRATEGIC ACHIEVEMENTS INCLUDE THE CONQUEST OF ARABIA, PERSIAN MESOPOTAMIA AND ROMAN SYRIA WITHIN SEVERAL YEARS FROM 632 TO 636. HE IS ALSO REMEMBERED FOR HIS DECISIVE VICTORIES AT YAMAMAH, ULLAIS, AND FIRAZ, AND HIS TACTICAL SUCCESSES AT WALAJA AND YARMOUK. Khalid ibn al-Walid RA (Khalid son of al-Walid, Khalid son of the Newborn) was from the Meccan tribe of Quraysh, from a clan that initially opposed Rasulullah SAW a vital role in the Meccan victory at the Battle of Uhud. He converted to Islam, and joined Rasulullah SAW after the Treaty of Hudaybiyyah and participated in various expeditions for him, such as the Battle of Mu'tah. After demised of Rasulullah SAW , he played a key role in commanding Medinan forces for Abu Bakr RA in the Ridda wars, conquering central Arabia and subduing Arab tribes. He captured the Sassanid Arab client Kingdom of Al-Hirah, and defeated the Sassanid Persian forces during his conquest of Iraq (Mesopotamia). He was later transferred to the western front to capture Roman Syria and the Byzantine Arab client state of the Ghassanids. Even though Umar later relieved him of high command, he nevertheless remained the effective leader of the forces arrayed against the Byzantines during the early stages of the Byzantine–Arab Wars.Under his command, Damascus was captured in 634 and the key Arab victory against the Byzantine forces was achieved at the Battle of Yarmouk (636), which led to the conquest of the Bilad al-Sham(Levant). In 638, at the zenith of his career, he was dismissed from military services. Khalid RA was born around c. 592 in Mecca to Walid ibn al-Mughira, the chief of the Banu Makhzum, a clan of the Arab tribe of Quraysh. He was Umar's cousin. His father was known in Mecca by the title of Al-Waheed- the One. The three leading clans of Quraysh at that time were, Banu Hashim, Banu Abd-al-dar, and Banu Makhzum. The Banu Makhzum was responsible for the matters of war. Soon after his birth, and in accordance with the traditions of the Quraysh, Khalid RA was sent to a Bedouin tribe in the desert, where a foster mother would nurse him and bring him up in the clear, dry and unpolluted air of the desert. At the age of five or six, he returned to his parents in Mecca. Khalid RA during his childhood also had a mild attack of smallpox which he survived, but it left some pockmarks on his left cheek. Khalid RA and Saidina Umar RA the second Caliph, were cousins and had very close facial resemblance. Khalid and Umar were both verytall, Khalid had a well-built body with broad shoulders. He had a beard which appeared full and thick on his face. He was also one of the champion wrestlers of his time. 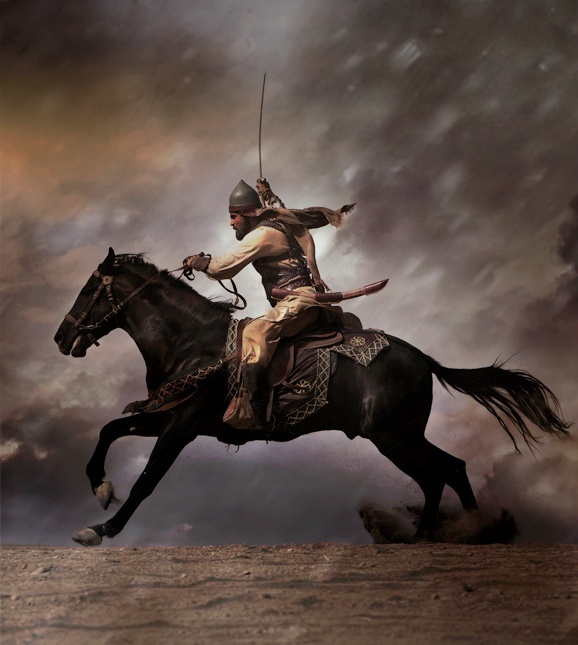 As a member of the tribe of Makhzum, who had specialized in warfare, and were amongst the best horsemen in Arabia, Khalid, as a child, learned to ride and use weapons like the spear, the lance, the bow, and the sword. Lance is said to be his favorite among the weapons. In youth he was admired as a renowned warrior and wrestler among the Quraysh. 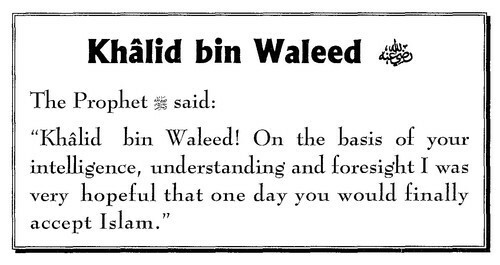 NOT MUCH IS KNOWN ABOUT KHALID IBN WALID DURING THE EARLY DAYS OF THE PREACHING OF RASULULLAH SAW. 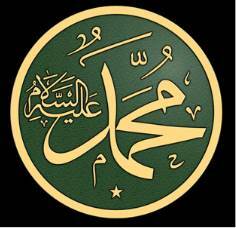 HIS FATHER WAS KNOWN FOR HIS HOSTILITY AGAINST RASULULLAH SAW. FOLLOWING THE HIJRAH OF RASULULLAH SAW FROM MAKKAH TO MADINAH, MANY BATTLES WERE FOUGHT BETWEEN THE NEW MUSLIM COMMUNITY AT MADINAH AND THE CONFEDERACY OF THE QURAYSH. KHALID DID NOT PARTICIPATE IN THE BATTLE OF BADR—THE FIRST BATTLE FOUGHT BETWEEN MUSLIMS AND QURAYSHITES—BUT HIS BROTHER WALID IBN WALID WAS CAUGHT AND MADE A PRISONER. KHALID AND HIS ELDER BROTHER HASHAM IBN WALID WENT TO MADINAH TO RANSOM WALID, BUT SOON AFTER HE WAS RANSOMED, WALID, AMIDST THE JOURNEY BACK TO MAKKAH, ESCAPED AND WENT BACK TO RASULULLAH SAW AND CONVERTED TO ISLAM. KHALID'S LEADERSHIP WAS INSTRUMENTAL IN TURNING THE TABLES AND ENSURING A MAKKAN VICTORY DURING THE BATTLE OF UHUD (625). IN 627 AD HE WAS A PART OF QURAYSH'S CAMPAIGN AGAINST THE MUSLIMS, RESULTING IN THE BATTLE OF THE TRENCH, KHALID'S LAST BATTLE AGAINST MUSLIMS. A peace agreement of ten years was concluded between the Muslims and Quraysh of Makkah at the Treaty of Hudaybiyyah in 628. It has been recorded that Rasulullah SAW told Khalid's brother, Walid bin Walid, that: "A man like Khalid, can't keep himself away from Islam for long".Walid wrote letters to Khalid persuading him to convert. Khalid, who was not unduly drawn towards the idols of the Kaaba, decided to convert to Islam and is said to have shared this matter with his childhood friend Ikrimah ibn Abi-Jahl who opposed him. Khalid was threatened by Abu Sufyan ibn Harb with dire consequences, but was restrained by Ikrimah who is reported to have said: "Steady, O Abu Sufyan! Your anger may well lead me also to join Muhammad. Khalid is free to follow whatever religion he chooses". In May 629, Khalid set out for Madinah. On the way he met 'Amr ibn al-'As and Uthman ibn Talha, who were also going to Madinah to convert to Islam. They arrived at Madinah on 31 May 629 and went to the house of Rasulullah SAW. Khalid was received by his elder brother Walid bin Walid and was first among the three men to enter Islam. Illustration of Kalid ibn Walid RA , leading in prayer beore the battle of Yarmouk woth the Persian. Three months after Khalid's arrival at Madinah, Rasulullah SAW sent an envoy to the Ghassanid ruler of Syria, a vassal of Byzantine empire, with a letter inviting him to convert to Islam. While passing through Mu'tah, this envoy was intercepted and killed by a local Ghassanid chieftain by the name of Shurahbil ibn Amr. Traditionally, diplomatic envoys held immunity from attack, and the news of this act enraged Madinah. An expedition was immediately prepared to take punitive action against the Ghassanids. Rasulullah SAW appointed Zaid ibn Harithah RA as the commander of the force. In the event of Zaid's death, the command was to be taken over by Ja`far ibn Abī Tālib RA, and if Jafar were to be killed, the command would be in the hands of `Abd Allah ibn Rawahah RA. In the event that all three were killed, the men of the expedition were to select a commander from amongst themselves. All three named commanders were slain during the battle, and Khalid RA was selected as the commander. He was able to maintain his heavily outnumbered army of 3,000 men against a massive army of 200,000 of the Byzantine Empire and Ghassanid Arabs in what would be known as the Battle of Mu'tah. Khalid RA assumed command of the Muslim army at the crucial moment, and turned what would have been a bloody slaughter into a strategic retreat and saved the Muslim army from total annihilation. During nightfall, Khalid RA sent some columns behind the main army, and the next morning prior to the battle they were instructed to join the Muslim army in small bands, one after the other, giving an impression of a fresh reinforcement, thus lowering the opponent's morale. Khalid RA somehow stabilized the battle lines for that day, and during the night his men retreated back to Arabia. Believing a trap was waiting for them, the Byzantine troops did not pursue. Khalid RA is said to have fought valiantly at the Battle of Mu'tah and to have broken nine swords during the battle. After the Battle of Mu'tah, Khalid RA was given the title Sword of Allah for bringing back his army to fight another day. A year later, in 630 AD, the Muslims advanced from Madinah to conquer Makkah. In the Conquest of Makkah Khalid RA commanded one of the four Muslims armies that entered Makkah from four different routes, and routed the Qurayshi cavalry. Later that year, he participated in the Battle of Hunayn and the Siege of Ta'if. He was part of the Tabuk campaign under the command of Rasulullah SAW , and from there he was sent to Daumat-ul-Jandal where he fought and captured the Arab Prince of Daumat-ul-Jandal, forcing Daumat-ul-Jandal to submit. In 631 A.D he participated in the farewell hajj of Rasulullah SAW. During which is said to have collected few hairs of Muhammad, as a holy relic, that would help him winning the battles. On January 630 AD, 8AH, 9th month, of the Islamic Calendar. Khalid ibn al-Walid RA was sent to destroy the Idol Goddess al-Uzza, worshipped by polytheists, he did this successfully, and 1 woman was also killed, who Rasulullah SAW claimed was the real al-Uzza. Khalid ibn al-Walid RA was also sent to invite the Banu Jadhimah tribe to Islam. They accepted the invitation, but Khalid took all of them prisoners and executed a portion of the tribe anyway (before he was stopped), due to past enmity. Rasulullah SAW also sent Khalid on an expedition to Dumatul Jandal, to attack the Christian Prince who lived in a castle there. This took place in March 631 AD, 9AH,11th month of the Islamic Calendar. In this campaign, Khaled took the Prince hostage and threatened to kill him until the door of the castle was opened. Rasulullah SAW then later ransomed him in exchange for 2000 camels, 800 sheep, 400 armours and 400 lances, as well as a requirement to pay Jizyah. In April 631 AD, Rasulullah SAW sent Khalid on an 2nd expedition to Dumatul Jandal to destroy the pagan Idol, Wadd. Khalid RA destroyed the statue as well as the shrine and killed those who resisted. Although it is believed that relations between Umar RA and Khalid RA, cousins, were always something short of cordial, both of them apparently harboured no ill-will towards each other. Upon his death, he bequeathed his property to Umar and made him the executor of his will and estate. 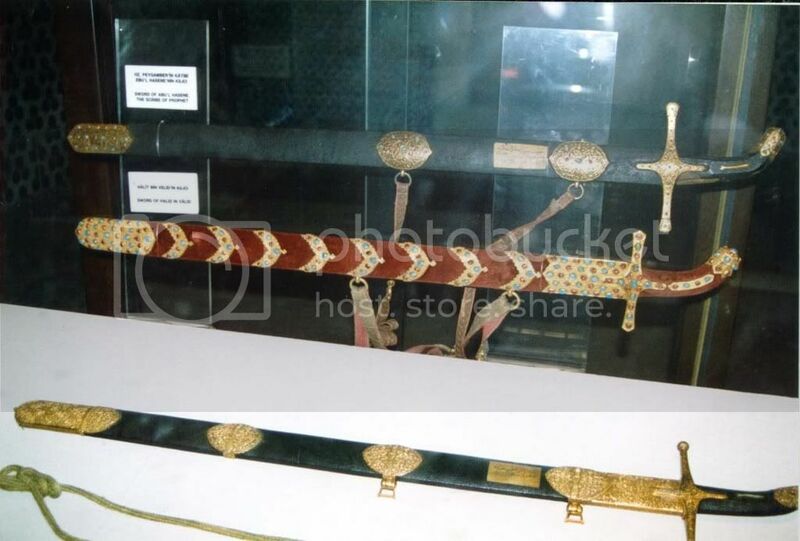 The wife of Khalid, upon feeling such a pain of her husband told Khalid RA: "You were given the title of 'Saif-ullah' meaning, 'The Sword of Allah' and, the sword of Allah is not meant to be broken and hence, it is not your destiny to be a 'martyr' but to die like a conqueror."